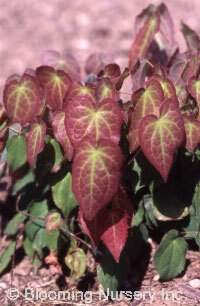 Clusters of pale rose 3/4" flowers top coppery new leaves from May to June. Clumping, low and compact habit. Good fall color. Excellent groundcover under trees.